Hello and welcome to Kilbride Cottage which is in one of the most beautiful lush valleys of North East Fife, Scotland. You’ve just found the perfect holiday location to combine a rural escape with a city break! Close by are “Dynamic Dundee” (home to the stunning new V&A museum), St Andrews (the home of golf), Perth (the Fair City), Dunfermline (historic capital of Scotland until the 17th century), the East Neuk of Fife (fishing villages), and “Outlander” locations (Falkland, Culross, Perthshire). Scotland’s capital Edinburgh is also less than an hour away. We hope the information here gives you a wee flavour of what a great holiday location it is. 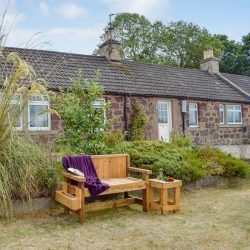 Whether you want a fun filled active holiday, or like us prefer a more leisurely stroll around local sights and a cosy base to relax for a few days, Kilbride Cottage is the perfect 2 bedroom holiday accommodation for your country cottage vacation in Scotland. Once you’ve seen the cottage and location we’re sure you will want to book to stay with us! You’ll find a “book now” button on most pages of our website, or scroll to the footer at the bottom of each page to use the quick availability search option. And of course, this is Scotland. We love to gab (=chat/talk/have conversations). So don’t hesitate to get in touch if you have any questions at all! The Kingdom of Fife is packed with great places to go and things to do, so you won’t be short of entertainment during your stay. 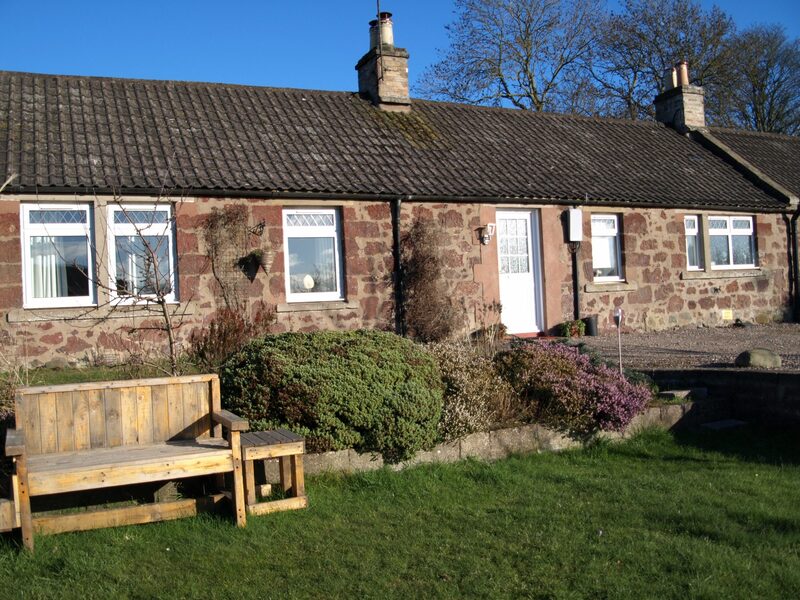 Kilbride Cottage is in the heart of rural North East Fife, Scotland so is the perfect location to explore the area. From great parks, walks, children’s activities, golf courses, fishing, museums, art studios, outdoor activities, cycling routes, walks, beaches, historical buildings, markets, indoor/outdoor sports, to festivals and events. …whatever you love to do…..you can do it in Fife! You can have a leisurely stroll round nearby Birnie Loch , shop in Cupar, watch some golf in St Andrews or see historic Falkand. You can also see the stunning new V&A museum in Dundee or visit Dunfermline, Burntisland, Perth, Fife’s East Neuk , or Edinburgh. Like our Facebook page @kilbride cottage to get updates about activities and events during your stay. Just click the Book Now button to check availability and book directly with us. Don’t hesitate to get in touch if you’ve any questions at all.